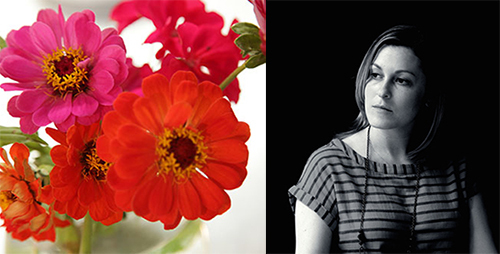 Sara Lamond believes in organic beauty. It's something she cares passionately about- head to toe, inside and out..
Good food and wellness were now her top priorities. When her cloud begin to lift, she focused back on her career and asked herself, "What can I research ad nauseum and not get sick of?" First it was local, organic foods, then after talking to her friend, Blair Wagoner, discussion turned to organic beauty and skincare. Together, they realized Atlanta didn't have a store devoted specifically to natural beauty and decided to delve in, feet first. Once the business was up and running, Blair returned to her work in diabetes prevention and Sara took over as sole owner of the business. 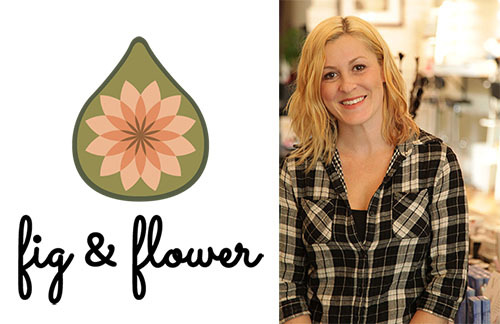 At her shop, Fig and Flower, Sarah sells her favorite hand picked products that are nourishing for the body's largest organ. You won't find aluminum, silicones, parabins or formeldehyde inside any of her goods. Sara relies on her own strict standards to determine which products she'll carry and promote. For her, there are two important aspects to ensure- Cleanliness of Ingredients and Quality of Performance. Sara, "Almost no ingredients are regulated when it comes to personal beauty products. There are only 8 in the US. But people are learning that these synthetic ingredients are adding up. The skin care, body wash, lotion that we use every day, year after year, increases our exposure to these harmful ingredients. They are finding these same chemicals showing up in breast cancer, ADHD and other illnesses." The message is clear, we need to care what we put on our skin. Inside Fig and Flower, you'll find only high quality products made with health and wellness in mind- from makeup, skincare and cleaning products to quality goods for mom and babe. 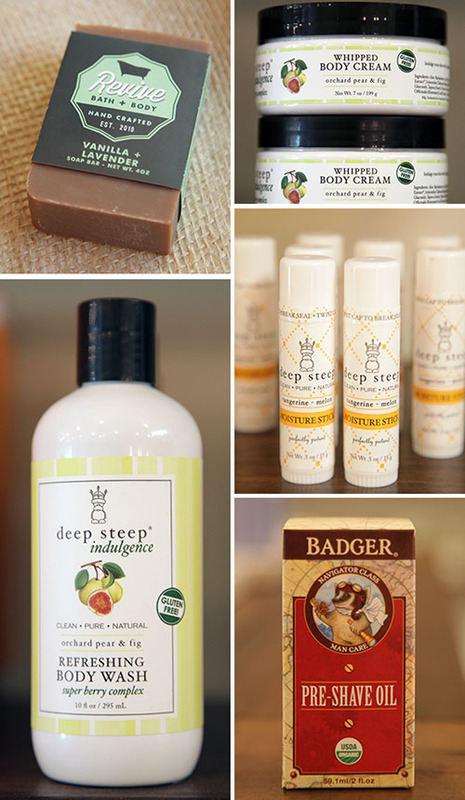 My favorite product line that Sara carries is HollyBeth Organics, as her skincare is the only USDA certified skincare line in Georgia. I've watched HollyBeth concoct all her products by hand in her Atlanta studio and as a repeat, devout user, I'm an enthusiastic fan. Other local southern lines include Dia Flora (started by a breast cancer survivor in Atlanta), Sally Bee's of Atlanta (another cancer survivor), One Love from St. Simon's, Georgia and Deep Steep from John's Island, South Carolina. I love all the makeup too, which is the central focus to the shop. Sara's most popular products include 100% Pure Mascara, RMS un cover-up and the RMS Living Luminizer. As a former law student, Sara still loves to hit the books, constantly researching and refiinng. Her two bibles are The Green Beauty Guide by Julie Gabriel and In Defense of Food by Michael Pollen. As curious shoppers come in and out of her doors each day, her biggest advice is to not be afraid of oils. Sara, "A lot of people have really oily skin or really dry skin. Oils work exceptionally well for both issues. They are pure, active, plant based ingredients and are so good for balancing our skin." Sara thought some more on what advice she'd give to others, then added, "Be less afraid." I love that. She's the walking emobodiment of that mantra. Do you (and your body) a favor and go visit Fig & Flower in Atlanta or online.